In November 2007, James Taylor and Carole King, joined by the same Los Angeles band that played with James and Carole when they first appeared at the Troubadour in 1971, re-united for six shows to celebrate the 50th anniversary of the legendary Los Angeles club. James, Carole and the band who became The Section - Danny Kortchmar, Lee Sklar and Russ Kunkel - together performed a remarkable set of songs. Peter Asher, who was deeply involved in the original 1971 show,produced the recordings of the six-show reunion. Martyn Atkins directed the filming with a nimble crew to capture what has become a much-anticipated and historic program. 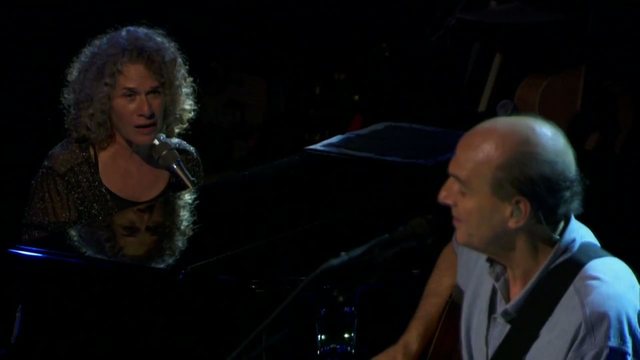 The 2010 Carole King-James Taylor Troubadour Reunion Tour is becoming one of the biggest tours of the year. The program being presented by PBS is an entire concert from the extraordinary 2007 Troubadour Reunion that brought them all together again. WVIA has exclusive tickets to James Taylor's upcoming concert at Wilkes Barre's Mohegan Sun Arena on December 1st. To find out how to get your tickets, click here .